Whether trying to overcome an addiction to nicotine, drugs, alcohol, or caffeine, there are many ways to ease the withdrawal symptoms. The severity of these symptoms vary and some people experience mild headaches or fatigue, which generally disappears within a couple of days. On the other hand, some people have to deal with migraines, severe stomach pain, elevated blood pressure and anxiety. There are drugs to treat withdrawal symptoms, though herbal and natural remedies are often just as effective without the side effects. Calamus has been used for a variety of purposes throughout the world. In Europe, Calamus was used as a stimulant for one’s appetite and to aid in digestion. In North America, the herb was used for fevers, colics, stomach cramps, and to ease a toothache. In Ayurvedic medicine, Calamus root extract has been used to treat digestive disorders as well as for rejuvenating the brain and the nervous system. Calamus isn’t a sedative that will put you to sleep but can be incredibly effective in treating anxiety and relaxes the body and the mind for a good rest. It is also particularly stimulating for the nervous system and the brain. It stimulates nerves and the neurons and helps to attain alertness and steadiness. So, as expected, this tincture helps to maintain good health of the nervous system and helpful for recovering from shock and other damages. It also reduces chances of epileptic and hysteric attacks, nervous afflictions or disorders, and damages done to the brain tissues. Due to its numbing and tranquilizing effect on the brain and the nerves, it reduces pain. 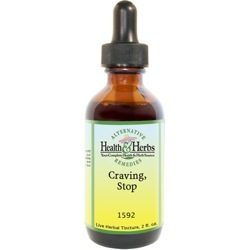 This herbal extract is also used in natural medicine for headaches, vertigo, and sleeplessness, or insomnia. The herb Lobelia (Lobelia inflata) has often been promoted to help people fight the effects of nicotine withdrawal and is found in many anti-smoking products. The active ingredient in Lobelia, lobeline, is thought to have similar actions on the body as nicotine. Due to its high piperidine alkaloid content, imitating the effects of nicotine, it is very beneficial for those who are trying to quit smoking. Also, working to stimulate the brain stem, Lobelia tincture produces stronger and deeper breathing. Lobelia extract has emetic and antispasmodic effects, which have led to its use to treat asthma and food poisoning. As a physical relaxant, it can serve as a nerve depressant, easing tension and panic. It is quite helpful to relax bronchial spasms during an asthma attack and is often used by herbal practitioners as a catalyst to prepare the body to accept another active ingredient. Lobeline leaf tinctures may increase the levels of the neurotransmitter dopamine in the brain similar to cigarettes. Dopamine influences mood and produces feelings of pleasure. These same properties may also explain the use of the plant extract of Lobelia to treat hangovers and alcoholism. Since ancient times Mistletoe has been used for a variety of ailments. Mistletoe has been found to be useful for panic attacks, seizures, and headaches when used in low doses. The herbal extract can be used to lower blood pressure and also help you to relax and reduce anxiety, which can help you sleep better. It has been used to help reduce the pain in nerves and actually strengthens the nervous system. Mistletoe contains something called a cytotoxic lectin which is named viscumin. There are also proteins and other molecules in Mistletoe that act as cancer-killing agents and promote immune responses. Promising studies from Africa and China show that Mistletoe tincture is a natural regulator of the circulatory system. Scullcap, sometimes called Skullcap, has been used traditionally as a tonic for the nervous system, to help treat anxiety, nervousness, and convulsions, irritability, insomnia, and neuralgia. Scullcap extracts have been considered by some to be a natural alternative to the effects of methadone treatment during withdrawal from drug addictions, especially opiates, tranquilizers, and barbiturates. To this end, Scullcap is often used along with more sedation-like botanicals such as Valerian and California poppy for addiction and withdrawal, and with Passionflower in physiological opioid addiction, and with Lobelia to satiate nicotine cravings. Scullcap may also be the herb of choice to help treat alcohol dependency. Rich in flavonoid components and vitamins it acts as a central nervous system booster and a sedative and is especially effective in the management of a nervous headache and restlessness. Scullcap is relaxant properties are found to be effective for all forms of nervousness with fatigue and depression without side-effects. In addition to beer production, Hops flowers have been used for centuries as a medicinal herb. Hops extracts are believed to be a great natural remedy for insomnia. The most common way that Hops is used in natural medicine today is in combination with other natural sleep aids such as Valerian or Passionflower. Hops flower works synergistically with these herbal nutrients to create very effective natural sleeping products without the long list of side-effects. Hops flower and Passionflower, like Valerian root, promote GABA and gently promote stress relief and sleep. GABA and Taurine are all good options in anyone’s arsenal for calming the mind and reducing anxiety. Hops flower herbal extract also works as a mild sedative, which helps ensure a calming effect and works as a muscle relaxant and tonic to curb physical cravings. Kava Kava root is known to help reduce anxiety but doesn’t impair mental function or cause sedation. It contains compounds called kavalactones that have been shown to help the body cope with occasional anxiety and relaxes the muscles. Kava Kava root extract also has other medicinal uses such as sleep disturbance or insomnia, menstrual cramps, and nervous disorders. It is helpful in alleviating opium withdrawal symptoms in people who are on their way to help to end the addiction. Those who are addicted to opium painkillers like heroin or morphine, generally experience anxiety, depression, cravings, hot flashes, diarrhea, restlessness, abdominal cramps and many other symptoms. Kava Kava tincture and have a very calming effect on the body and should be included in the treatment of the withdrawal detox process. This plant is known to uplift the mood and improve concentration and alertness. Kavalactones have pain relieving properties, and along with Valerian root and Passionflower it relaxes the mind and helps to improve mood. Passionflower is found throughout the Americas and Europe and has been traditionally used to relieve the symptoms related to drug withdrawal, such as insomnia, anxiety, agitation, irritability, hysteria and even seizures. It has a natural calming and sedative effect and has been found to increase the levels of GABA in the brain, helping your body relax. Passionflower extracts are an excellent remedy to treat nervous tension, as well as pain, and the plant has been recommended in this formula for its ability to work synergistically with the other herbs for alcohol and nicotine withdrawal, as well as drug withdrawal symptoms. Ingredients: Calamus Root, Lobelia Leaf, Mistletoe Leaf, Scullcap Leaf, Hop Flowers, Kava Kava Root, Passionflower, Structured Water and 20% Alcohol. Non-Alcohol: Calamus Root, Lobelia Leaf, Mistletoe, Scullcap Leaf, Hops Flowers, Kava Kava Root, Passionflower, Structured Water and Vegetable Glycerin. Instructions: Use 6-30 drops in juice or water, under the tongue, or as desired. May be taken 2 times daily. Shake well. Store in a cool, dark place. Keep out of reach of children.